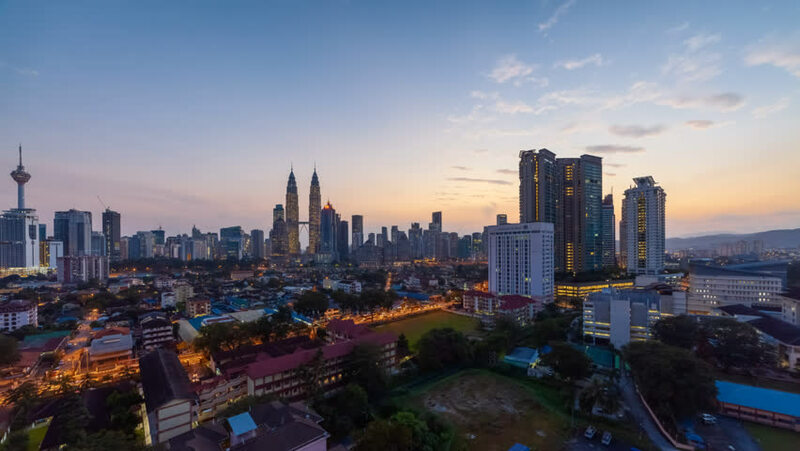 4k00:24Time lapse: Beautiful and dramatic sunrise view of the Kuala Lumpur skyline at dawn. Malaysia. Prores 4KUHD. 4k00:14Sunset time lapse view overlooking Kuala Lumpur city center skyline from day to night from aerial view in Kuala Lumpur, Malaysia. Prores 4K. 4k00:17Time lapse: Kuala Lumpur city view during dawn overlooking the city skyline. Motion Timelapse Zoom In.